It’s no easy feat to cultivate a high-trust, high-performance organization on a global scale. According to Great Place to Work, it takes the commitment of dedicated and motivated employees and leaders to achieve such a lofty goal. We’re proud to announce that Great Place to Work has named SAP a “World’s Best Workplaces 2017” on the seventh annual 25 World’s Best Workplaces list. Our The company qualified as a result of its success in appearing in “Best Workplaces” lists in Argentina, Brazil, Chile, Greater China, India, Ireland, Peru, Singapore, South Korea, Switzerland, and the United States. More than 10 million employees from 6,600 companies around the globe participated in the survey process for the “World’s Best Workplaces” list. The ranking assessed employees’ perspectives on leadership, organizational culture, and trust. Companies on the list create cultures that are welcoming, friendly, inclusive, and ethical. An overwhelming majority of employees at the “World’s Best” say they’re proud of their workplaces. As of Q3 2017, SAP has been recognized around the world an incredible 227 times through various awards, certifications, and rankings. The list goes on and on, so take a closer look at them for yourself on the Life at SAP Facebook page! 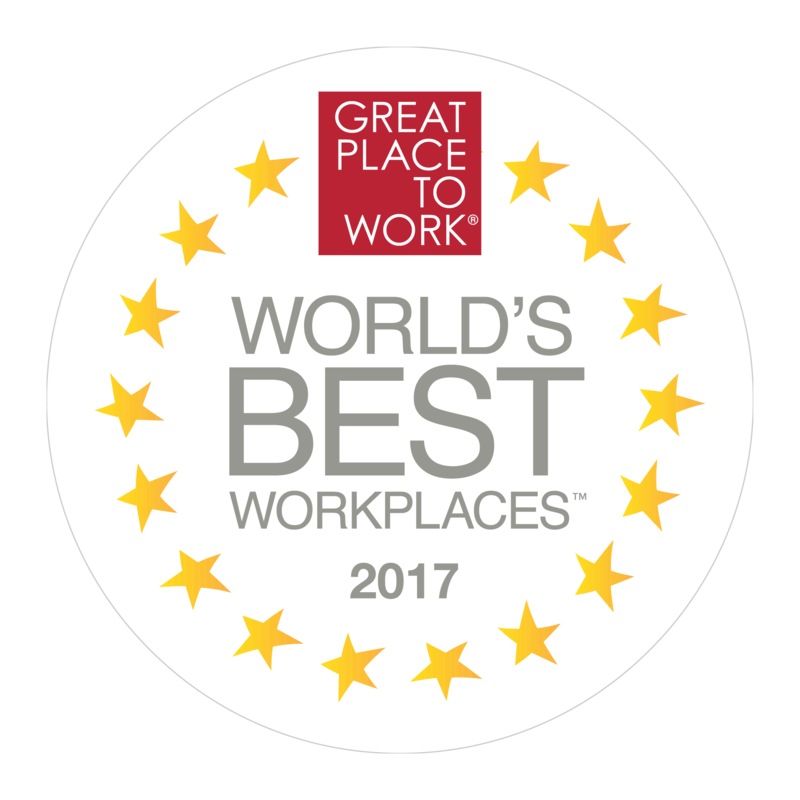 Since 2011, Great Place to Work® has identified the top organizations that create great workplaces in multiple countries in which they operate through the publication of the World’s Best Workplaces list. To be considered eligible for the World’s Best Workplaces list, companies must qualify according to their definition of a Multinational Company and appear on a minimum of 5 national best workplaces lists that rank organizations based on the results of their Trust Index© employee survey and Culture Audit© assessment (to qualify in the United States, we look at winners of the Fortune 100 Best Companies to Work For® list). The results of those national lists, in addition to extra points awarded for the number of countries an organization surveyed employees in, and the percentage of the company’s global workforce represented by those surveys, are combined to create a top 25 ranking. Candidates for the list must have a minimum of 5,000 employees worldwide, and 40% of their workforce (or 5,000 employees) must be based outside of the country in which they are headquartered. Candidates for the 2017 World’s Best Workplaces list will have appeared on national workplaces lists published in September 2016 through August 2017.